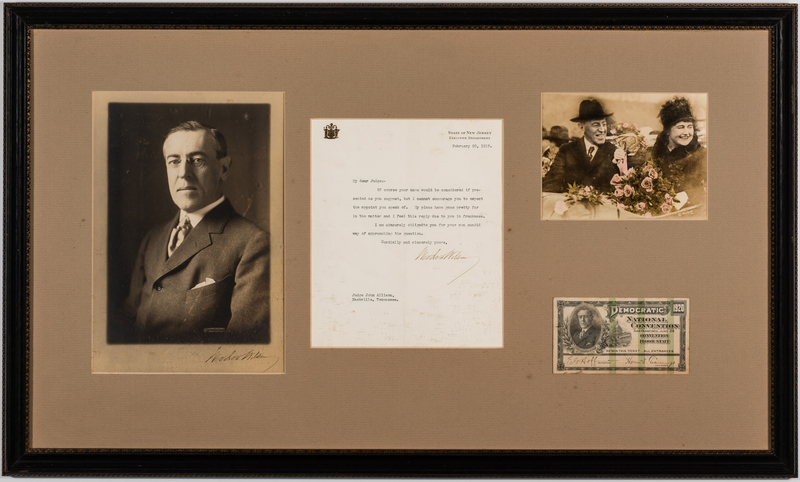 Framed collection of four (4) Woodrow Wilson items. 1st item: TLS. One page typed letter. 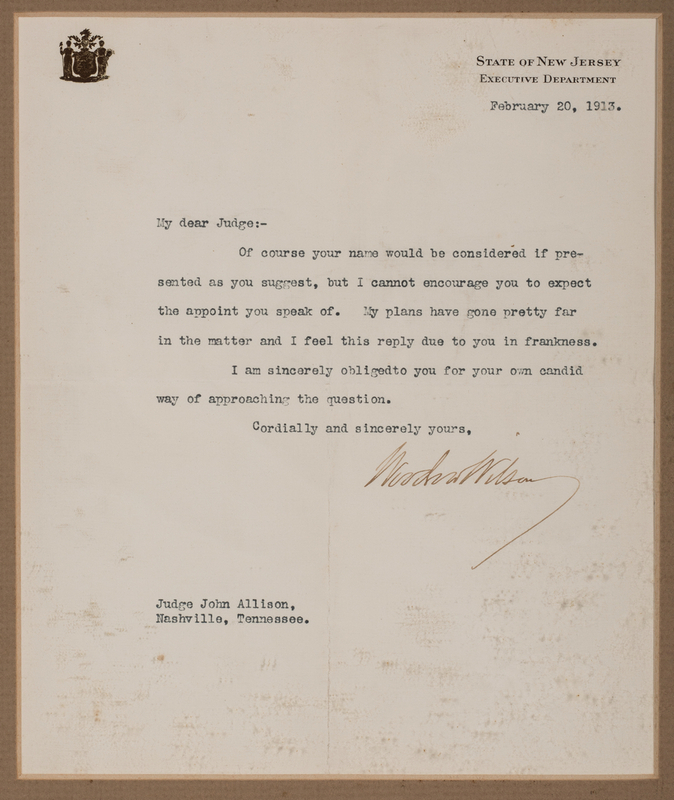 From President-Elect Woodrow Wilson, State of New Jersey, to Judge John Allison, Nashville, TN, dated February 20, 1913. Typed on State of New Jersey, Executive Department stationary. 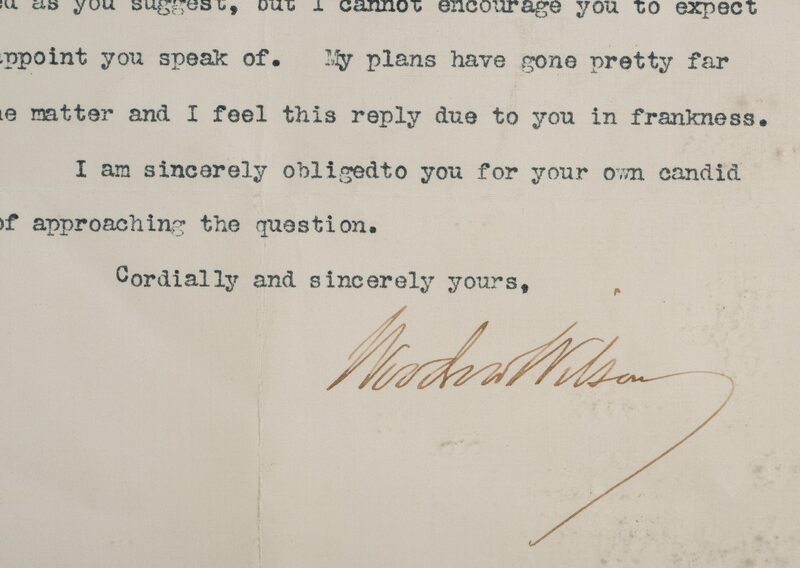 Wilson writes "My dear Judge:-Of course your name would be considered in presented as you suggest, but I cannot encourage you to expect the appoint you speak of. My plans have gone pretty far in the matter and I feel this reply due to you in frankness. I am sincerely obliged to you for your own candid way of approaching the question. 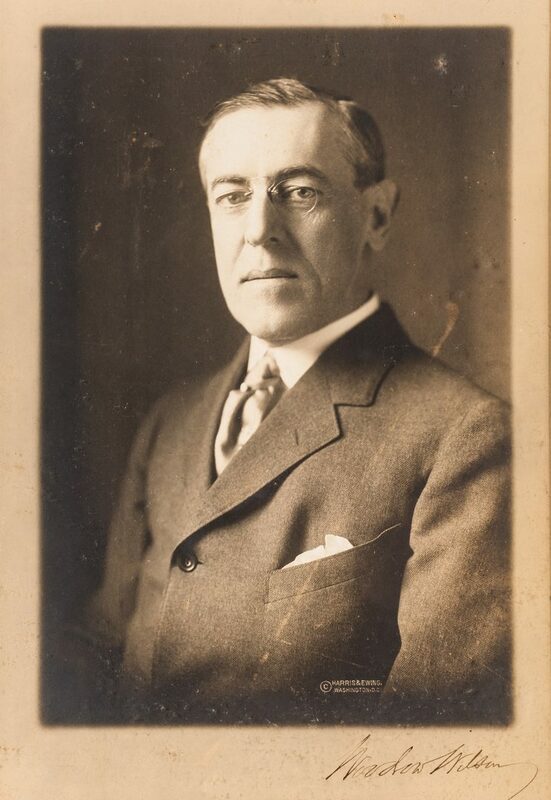 Cordially and sincerely yours, Woodrow Wilson". 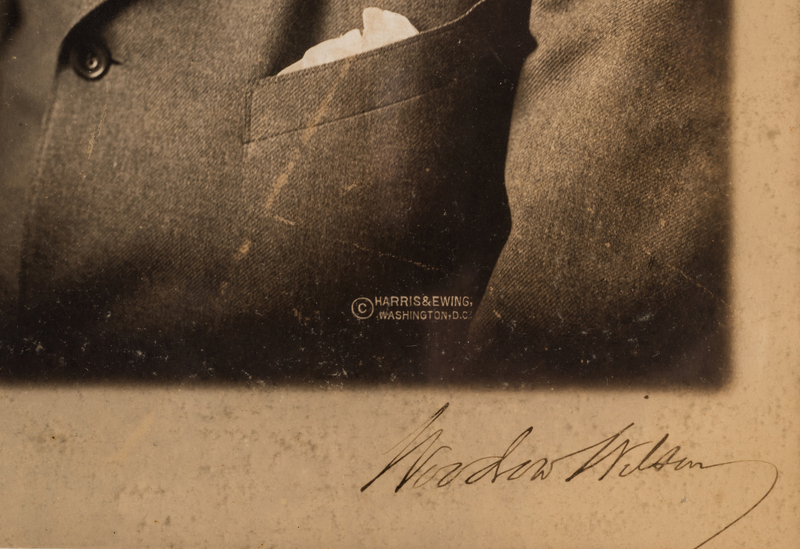 Sight – 8 3/4" H 7 3/8" W. 2nd item: President Woodrow Wilson signed albumen photograph. 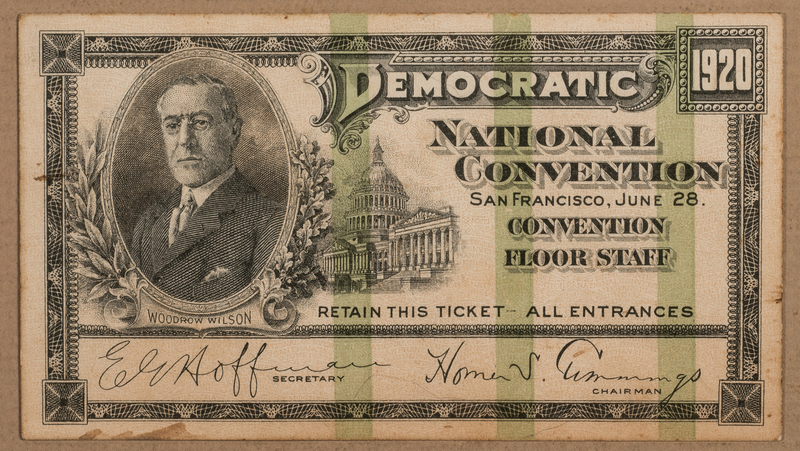 Signed "Woodrow Wilson" lower right under image. Harris and Ewing, Washington, D.C. studio marks, lower right in image. Sight – 10 5/8" H x 7 3/8" W. 3rd item: June 28, 1920 San Francisco Democratic Convention Floor Staff ticket. Engraved portrait of Woodrow Wilson with a vignette of the San Francisco Civic Auditorium, top left, with facsimile Secretary/Chairman signatures, lower left and right, surrounded by a decorative border. Mounted to frame matte. 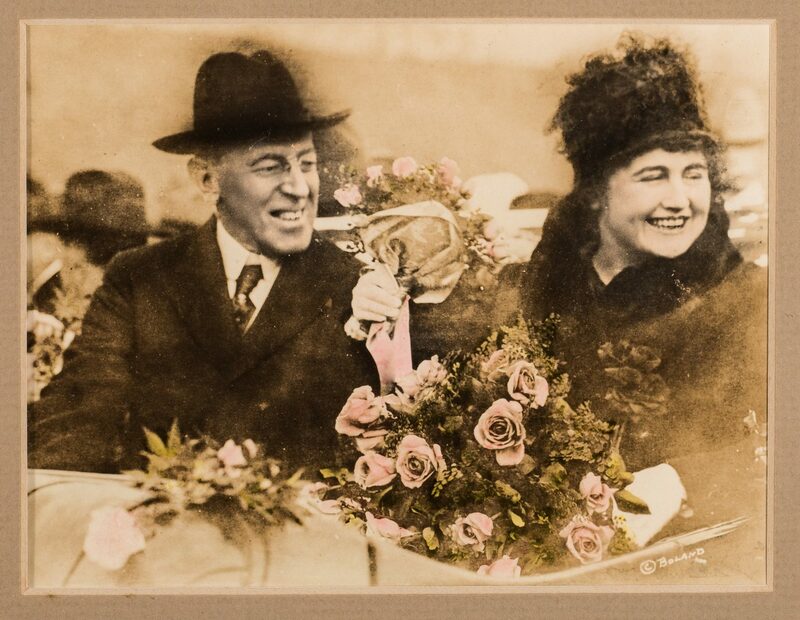 3" H x 5 1/4" W. 4th item: Sepia toned photograph with tinting depicting President Woodrow Wilson and his second wife Edith Wilson. 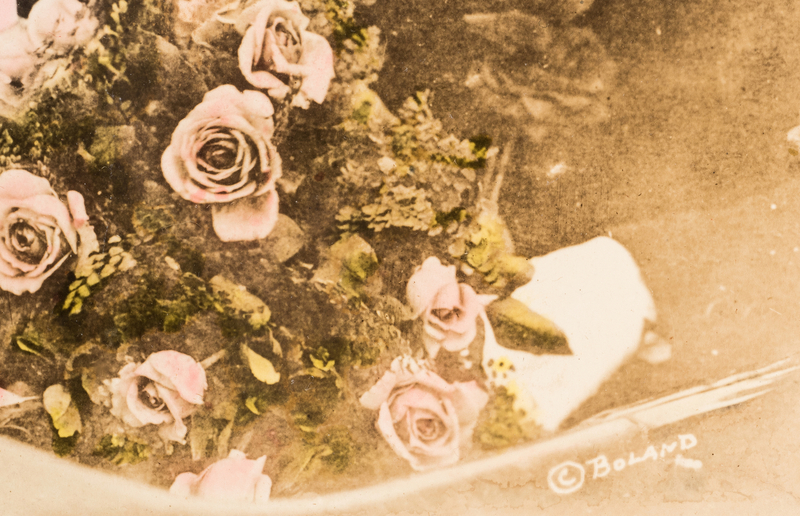 Boland studio marks, lower right in image. Sight – 4 7/8" H x 6 1/4" W. All items matted and housed under glass in a black wooden frame with gilt rabbet edge. 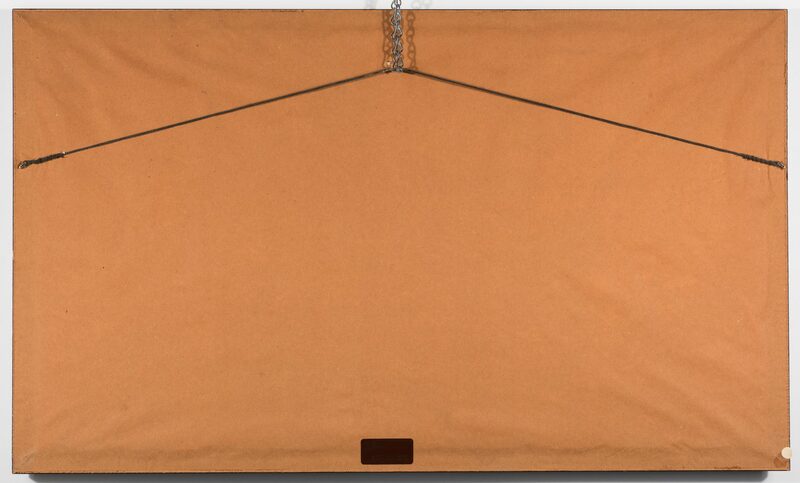 Sight – 15 7/8" H x 27 7/8" W. Framed – 17 7/8" H x 30" W. All items early 20th century. Provenance: Living estate and collection of internationally known ragtime pianist and historian Johnny Maddox, Gallatin, TN. CONDITION: 1st item: Overall good condition. Signature in strong, clear condition. 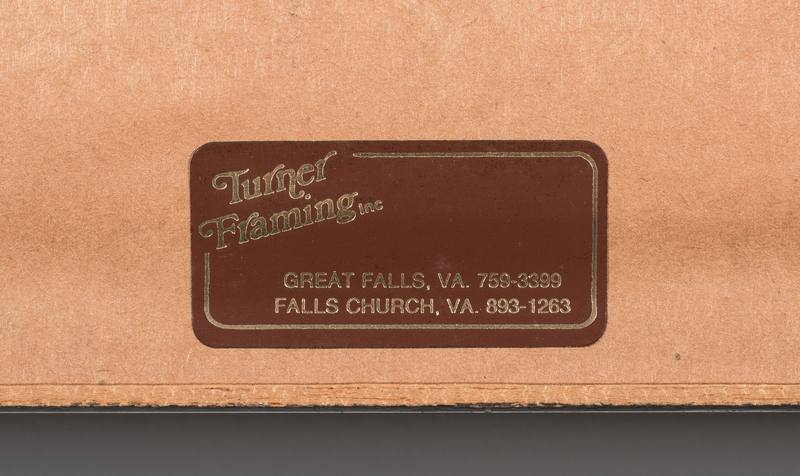 2nd item: Overall good condition with some stains, some silvering to edges of photograph. Signature in strong, clear condition. 3rd item: Overall good condition with toning, paste stains to ticket. 4th item: Overall good condition. Not examined outside of frame.